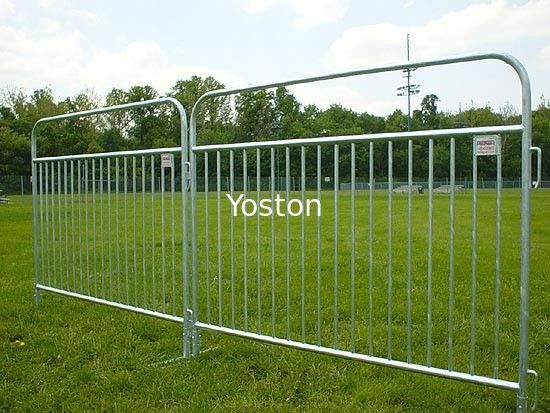 Crowd control barriers (also referred to as crowd control barricades, pedestrian barricades or bike rack barricades), are commonly used at many public events. They are frequently visible at sporting events, parades, political rallies, demonstrations, and outdoor festivals. 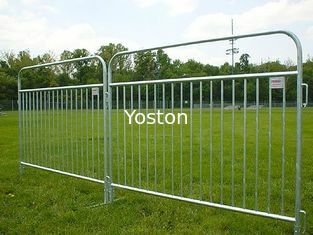 Event organizers, venue managers, and security personnel use barricades as part of their crowd management planning. They originated in France approximately 50 years ago and are now produced around the world. Various shapes and types for your option, we can also customize according to your drawing. Feet: movable flat feet , fixed cross feet, bridge feet etc. 2) Renewable resource, could be used for several years. 3) All welding slag are cleared to insure fence smooth surface. 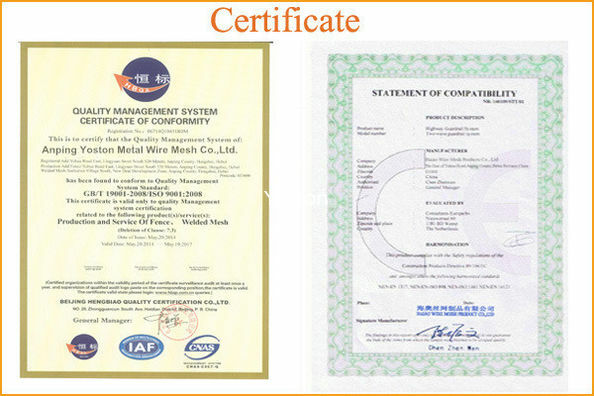 4) Whole barrier panel (welded mesh panel and frame tube) will be hot dipped galvanized or powder coated after welding. 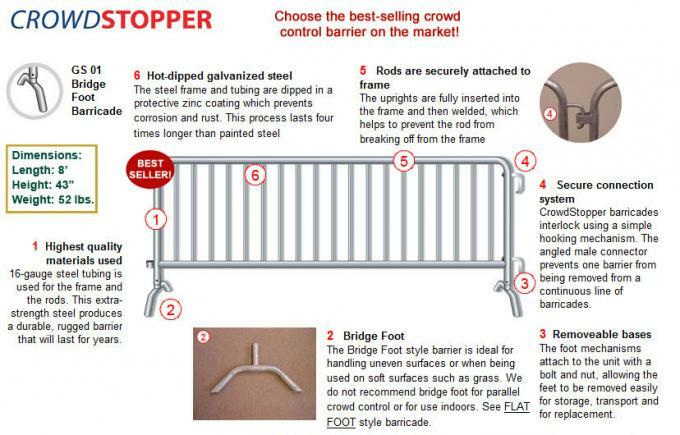 Crowd control barricades are most commonly made of steel. Barriers are most effective when they interlock, being attached to each other in a line via hooks at the side of each barricade. When barricades are interlocked, security personnel can create impenetrable lines, because such lines of barriers cannot easily be toppled over.